Corruption is quickly becoming one of those global phenomena which every country is struggling with. Spreading faster than an epidemic, corruption and crime rates have skyrocketed over the past three decades. While few countries have been able to curb their level of corruption, the rates of corruption have reached new levels in the countries of Africa. Driven by poverty and greed, many government officials are among practitioners of corruptions, which in turn forces the local populace to turn to crime as their last resort. Recent studies have pointed out few of the most corrupt countries in Africa. Let’s take a closer look at these countries to determine their corruption levels and rate of crime,based on the world corruption rates statistics. Not many people around the world know that one of Africa’s most popular countries is also one of the most corrupt. Losing almost 10 positions in the world corruption list, Guinea has managed to turn into Africa’s most corrupt countries. So great is the corruption of Guinea that in 2008 the president of Guinea right before his death admitted to the sale of a mine to a British Company worth billions of dollars for personal gain. Having corrupt officials in the government has become a norm for many countries, but the entire government swindling few hundred million dollars for personal gain is unheard of. Angola is one African country which has managed to gain quite a reputation for itself as one of the most corrupt countries in the world. Since not being able to account for more than 5 billion dollars in the past ten years, Angola has managed to become the 4th most corrupt country in Africa and is also on the world’s top ten most corrupt countries list. One of those countries which have one of the toughest people justice systems, Libya also has managed to claw its way to the top of the most corrupt countries of Africa list. With a bribery rate at more than 62% and failing judicial and police systems, Libya has given way to complete lawlessness and corruption. Taking corruption to almost an art form, Democratic Republic of the Cong has managed to end up in the 7th position on our list of top 10 most corrupt countries in Africa. 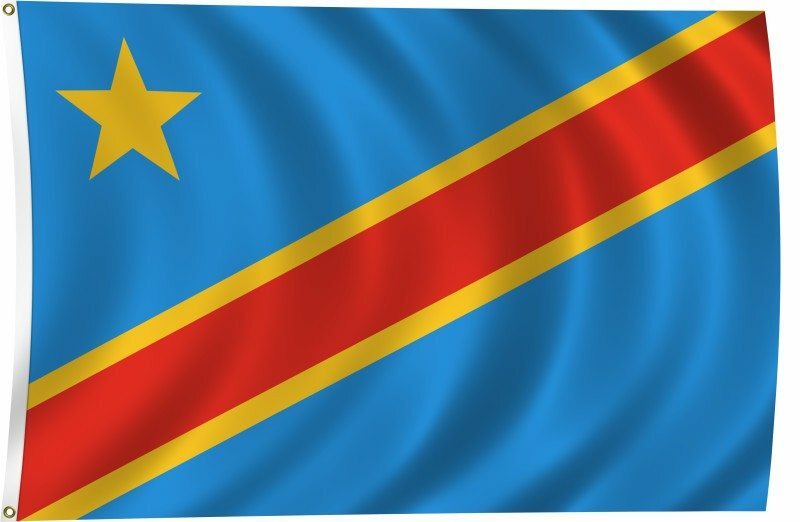 The rate of corruption is so high in Congo that not even the government officials themselves are immune to it. Being one of the wealthiest nations of the world beating Saudi Arabia, Korea and Italy combined, Equatorial Guinea has also managed to become one of Africa’s most corrupt countries. It is one thing to take bribes, but to put the entire nation below 60% poverty rate is almost ludicrous. As most citizens of Equatorial guinea survive under $1 per day, it has truly managed to become a prominent addition to our list of 10 most corrupt countries in Africa. Another surprise additions to our list, Zimbabwe has had one of the most steady growth of corruptions over the past few years. As a study revealed that more than 65% of the residents had paid bribes in one form or the other, which is a significant growth from the 2001 study which had only 34% of the locals paying bribes. Holding a world rank of 173rd position among 183 countries for corruption truly requires a lot of talent, and no other country has managed to display their talent for corruption. With one of the highest poverty levels in the world, Chad has played an important role in the revolution of Sudan. Homing few hundred thousand rebels, Chad has managed to put their local populace under severe depression, giving way to excessive corruption. Burundi is among the handful of African countries which has managed to establish anti-corruption agencies successfully. However, this has only managed to push Burundi to the edge of corruption. Being the center for organized corruption in Africa, Burundi has become one of the most corrupt countries in Africa. Sudan is one of those few countries in Africa which has been engrossed in corruption, warfare and terrorism for a long time now. Despite having an existing government, the country is run by gruesome warlords who will go to any extent to spread terror and corruption. As murder and crime are normal part of everyone’s life in Sudan, corruption is always at a peak. This is one of the main reasons that has made Sudan one of the most corrupt and terrorized places not only in Africa, but in the world at large. Being the most corrupt and terrorized countries of Africa, Somalia has managed to make quite a name for itself over the years. With one of the highest poverty levels and the most corrupt government, the locals have turned to every form of violence and terrorism imaginable. By using guerrilla style warfare, Somalia for a long time has been engrossed in wars and terrorism and it is the local people who face the most problems. The corruption and terrorism in Somalia is so high that even public selling of weapons and ammunition is accepted by the Somalian Government.